Highly distinctive ceramic products linked to the Italian-Mediterranean tradition and to a city in which clay has been worked for thousands of years, Caltagirone. Over the years, founders Giacomo Alessi and Giovanna Anfuso have shaped and customized the forms of tradition. New designs have been developed in their ceramics workshop and even the centuries-old designs of ancient master potters have been restyled. 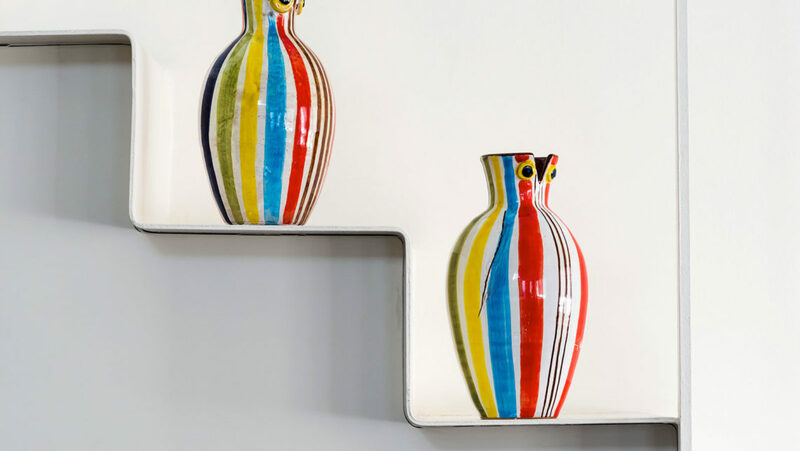 The objects preserve the idea of a product that expresses the colours of Sicily and the flavours of its cuisine and of the Sicilian hinterland. The production process is entirely manual: the necks of the bottles, the edges, the circumferences of the objects, the glazes and the brushstrokes are never the same, but are subject to change, often determined by the person who makes them.